"I loved that she's a bigger, curvier girl than most of the other bloggers who you see in the press and tend to represent the genre." and this "The subtle thing she achieves so successfully in these two looks is to complement the sturdy but beautiful shape of her legs with an equally strong shoe." People felt all kinds of ways about his comments. He did respond to all the comments on his blog. "ps: about the controversy on his blog because of words like "curvy"or"big" udes by him to definy my body,i just can say that i never felt hurt.i think i have a normal body neither fat nor thin,curvy is ok,of course my body was pretty different fro the other girls where around there,wheter they are models,editors,bloggers of whatever,I was taller and more...curvy! but I did not mind at all." Personally I appreciate it when a man tells me what he likes. 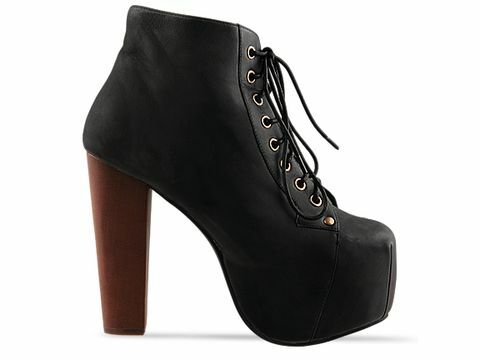 So I agree I like her Jeffrey Campbell Lita ankle boots too!